Really good, chemical-free hand sanitizers can be expensive, and you don't want to slather an alcohol and triclosan (which has been linked to cancer and is toxic to the environment) containing sanitizer all over your kid's hands (especially little hands that so often end up in their mouths!) 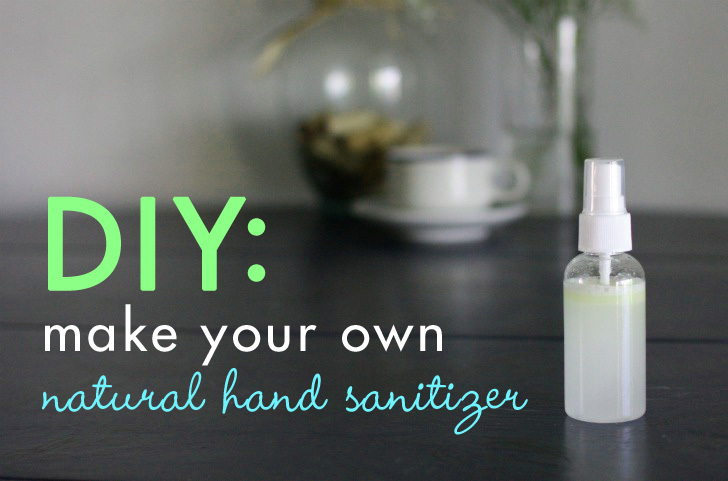 Natural options exist, but you can easily make your own natural hand sanitizer at home for just pennies, using common ingredients. Key essential oils like rosemary, tea tree oil, and lemon have strong antibacterial and antifungal properties. Aloe vera gel helps essential oils blend in water, and also hydrates the skin. Vitamin E oil nourishes and soothes the skin, while preserving your hand sanitizer for months. Mix up a batch and make a bottle for each member of your family! *If you’re pregnant or planning to become pregnant, omit the rosemary and increase the amount of the other oils. 2. 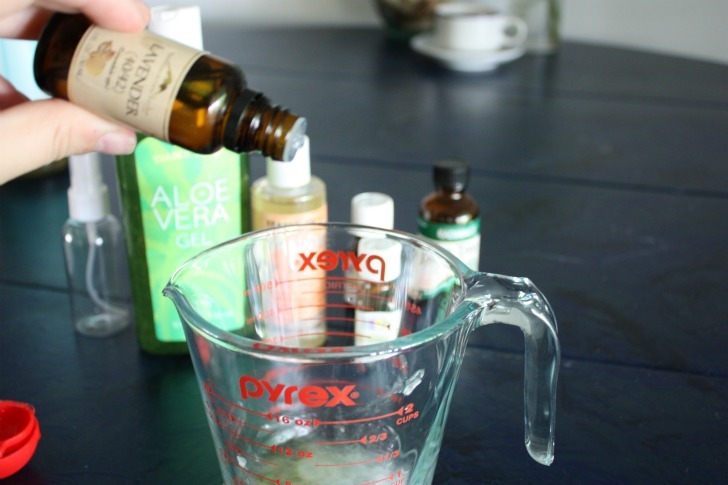 Mix aloe, Vitamin E, and essential oils. I like to use a glass measuring container with a spout, to make it easier to bottle the finished product. It’s not ideal to use plastic containers in conjunction with essential oils, since some essential oils can actually dissolve plastic. 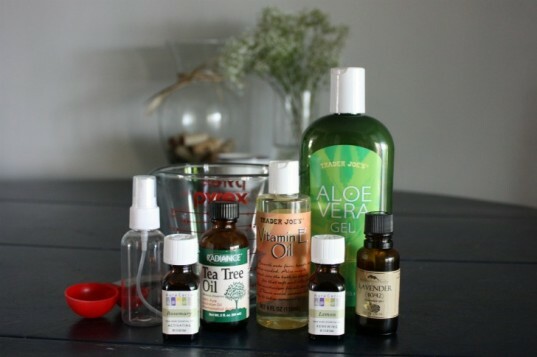 So you can use any glass bowl or container you’d like to combine your Vitamin E oil, aloe vera gel, and essential oils. Swirl around until well combined. Pour your cool, filtered water slowly into your glass container, and mix well. Pour hand sanitizer into 2oz glass bottles. If you’ll store your hand sanitizer in an area exposed to light, use a dark-colored bottle. My spray bottles are usually in my purse or diaper bag, so clear glass works fine. Once bottled, your hand sanitizer is ready to go! The Vitamin E will help preserve and stabilize the mixture for a few months. Toss a bottle in your purse, your diaper bag, and anywhere else you need to have a little germ-fighting power at your fingertips. 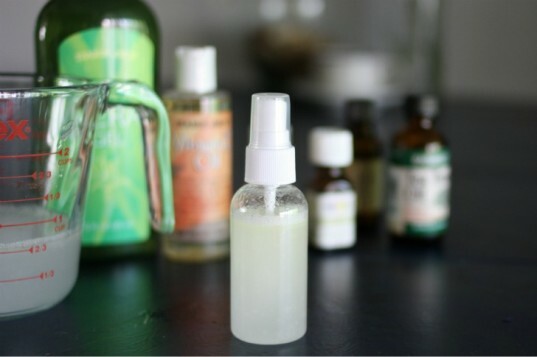 Glass bottles with spray tops (This recipe makes enough for 4 x 2oz spray bottles.) (If you can find amber or blue glass bottles, they will help preserve the essential oils to a greater extent.) 1 Tbsp Aloe vera gel 1 tsp Vitamin E oil 20 drops each essential oils of lemon, tea tree, and rosemary* 10 drops lavender essential oil 1 cup minus 2 Tbsp cool, filtered water *If you’re pregnant or planning to become pregnant, omit the rosemary and increase the amount of the other oils. I like to use a glass measuring container with a spout, to make it easier to bottle the finished product. It’s not ideal to use plastic containers in conjunction with essential oils, since some essential oils can actually dissolve plastic. 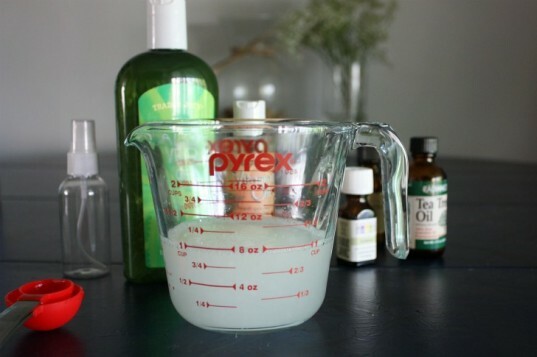 So you can use any glass bowl or container you'd like to combine your Vitamin E oil, aloe vera gel, and essential oils. Swirl around until well combined. Pour hand sanitizer into 2oz glass bottles. If you’ll store your hand sanitizer in an area exposed to light, use a dark-colored bottle. My spray bottles are usually in my purse or diaper bag, so clear glass works fine. Once bottled, your hand sanitizer is ready to go! The Vitamin E will help preserve and stabilize the mixture for a few months. Toss a bottle in your purse, your diaper bag, and anywhere else you need to have a little germ-fighting power at your fingertips.